QUENCH THE POOR’S THIRST IN JESUS’ NAME! 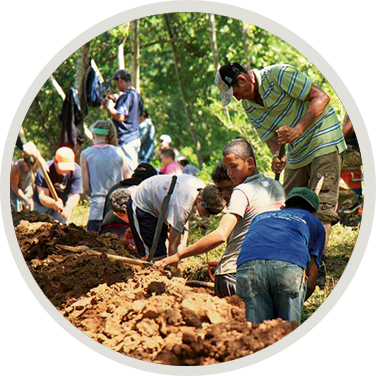 The Nicaraguan village of La Danta needs your help to solve an urgent problem: a lack of clean, safe water. Children are getting sick, and men and women are at high risk of kidney failure. With your help, a local Christian ministry can end this crisis. Help us Quench Their Thirst! Whatever amount the Lord places on your heart will help bring long-term transformation to Nicaraguan families! Provide a community water systems offering 24-hour access to clean water at every household. Cover the costs of the well, pump, tank, filter and pipes. Help organize and train the community to participate in this project and take charge of long-term maintenance. Encourage and empower the poor and vulnerable with the love of Christ. them so much illness and suffering. YOU can transform their lives! Proceeds from this campaign will be used to cover any expenditures for this water project incurred through June 30, 2019, the close of our ministry’s new fiscal year. In the event that more funds are raised than needed to fully fund the project, the excess funds, if any, will be used to meet the most urgent needs of the ministry.